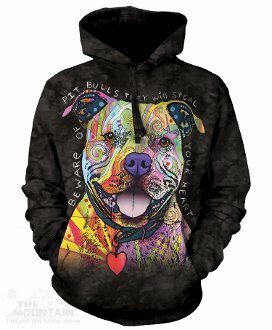 Beware of Pill Bulls Hoodie is a Staffy lover's dream. This pull over sweatshirt with a jersey-lined hood and front hands pocket is from The Mountain®. 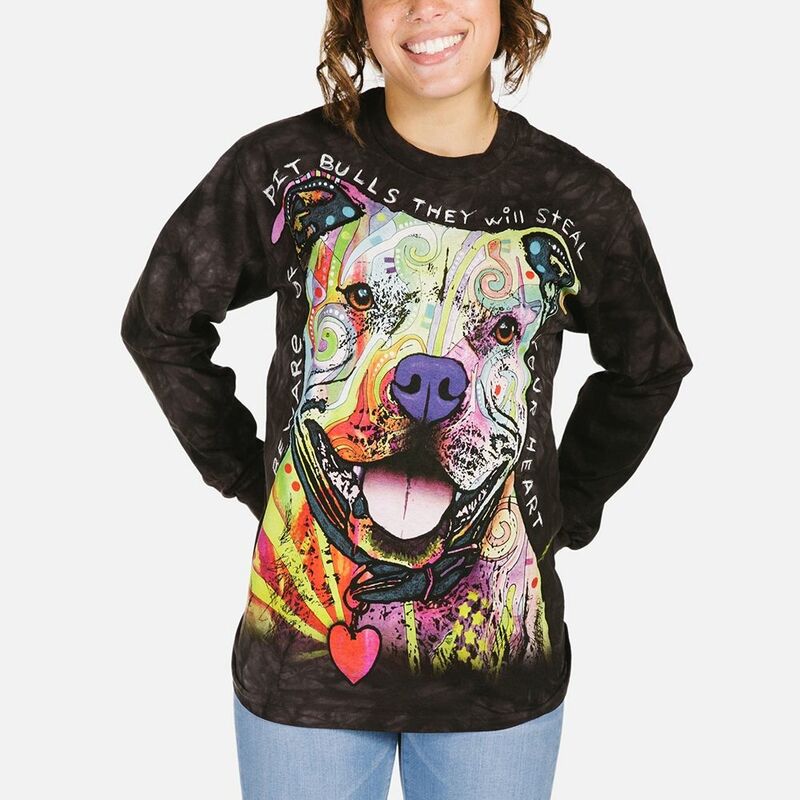 The colourful pop art by Dean Russo shows a pit bull with the phrase "Beware of Pit Bulls they will steal your heart". 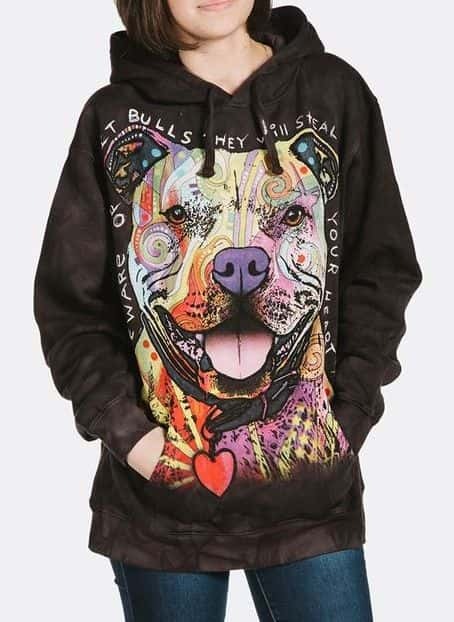 If you've got a Staffordshire Bull Terrier or just a dog lover, you've got to get this hoodie!